The Indian food history is the history of invention in times of necessity and inheritance from diverse cultures. Some dishes were invented for the sake of masses while some others were borrowed from across geographies. Many such interesting stories of Indian food are still unheard of. Indian Eagle takes a few picks from the grave of history to share with you on Travel Beats, a portal for Indian Diaspora. What to eat in Agra? Whoever has been to the city of the Taj Mahal says that Petha is the best thing to eat in Agra. The invention of Agra ka Petha is linked to the construction of the Taj Mahal in the Mughal Empire. When the colossal monument was under construction, some 21,000 workers were bored of the daily meal comprising only dal and roti. The then Mughal Emperor Shah Jahan shared his concern with master architect Ustad Isa Effendi, who requested Pir Naqshbandi Sahib for a solution to the Emperor’s worries. It is believed that the Pir went into a trance during prayers one day and received the recipe of Petha from the Almighty. Then, some 500 cooks made Petha for the workers. What is the best food to eat in Rajasthan? It is Dal Bati Churma in Jaipur, Mewar, Jodhpur, Bikaner, Jaisalmer and Udaipur. How the recipe of Dal Bati Churma was invented is a story worth sharing. The origin of this Rajasthani food is the famous Chittorgarh Fort in Mewar. Bati is dough of wheat dipped in ghee, a long-lasting food which the Rajput kings of Mewar required for survival in adverse conditions during wars. Bati could be made with the few ingredients and the little water available in the barren lands of Rajasthan. This culinary invention evolved into a delight with two other items – Dal and Churma – over the years. What is the best taste of Mysore? 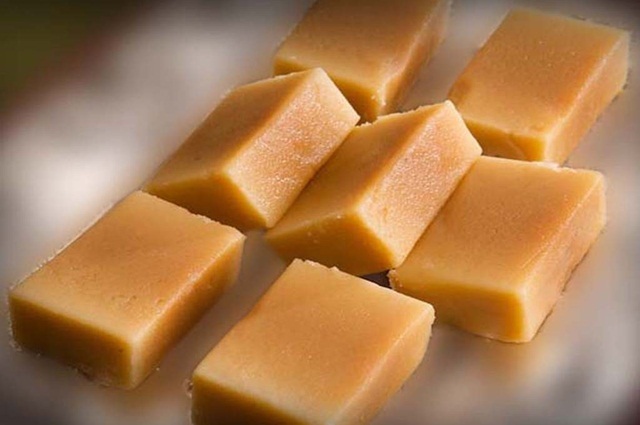 It is the Mysore Pak, a signature sweetmeat of South India. The Mysore Pak history is traced to the kitchen of the Mysore Palace in the early 20th century when Nalawadi Krishnaraja Wodeyar was the king in power. Kakasura Madappa, the then royal cook in the Mysore Palace, used to please the King with different dishes. One day he made new sweet dish with the mix of chickpea flour, ghee and sugar. When the King tasted it, it melted at the tip of his tongue. On being asked the name of the dish, the cook invented the name ‘Mysore Paka’ in a split of second. ‘Paka’ is a Kannada word meaning a sweet concoction. What is the best sweet of Odisha? Undoubtedly, it is Khaja. Though the culinary art of making Khaja is a matter of pride for the people of Orissa, the recipe is believed to have been borrowed from the Gangetic plains of Bihar around 2000 years ago. The history of Khaja dates back to the Maurya and Gupta empires in ancient India. Today, Bihar, Odisha, Jharkhand and Andhra Pradesh are homes to this Indian dessert. 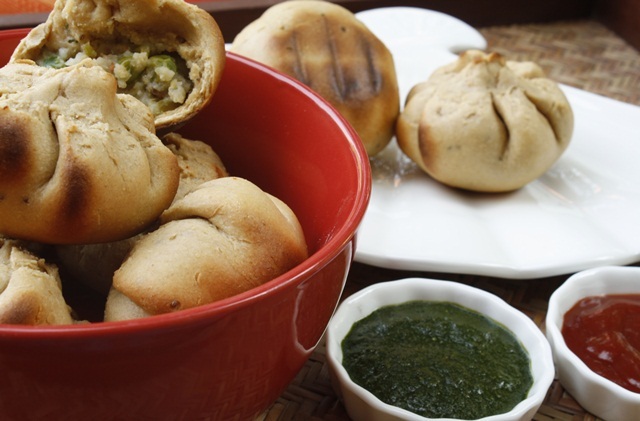 Each of these states offers a different taste of Khaja. 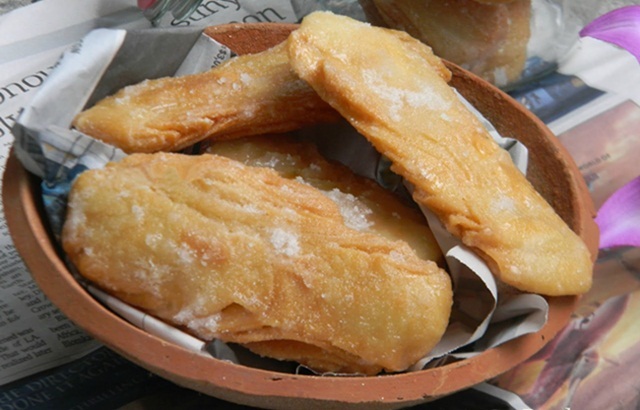 The Khaja of Rajgir in Bihar is famous for its puffiness, while the Khaja of Kakinada in Andhra Pradesh is known for its dry outside and juicy inside. Jalebi, one of the most popular Indian sweet dishes, owes its origin to West Asia. 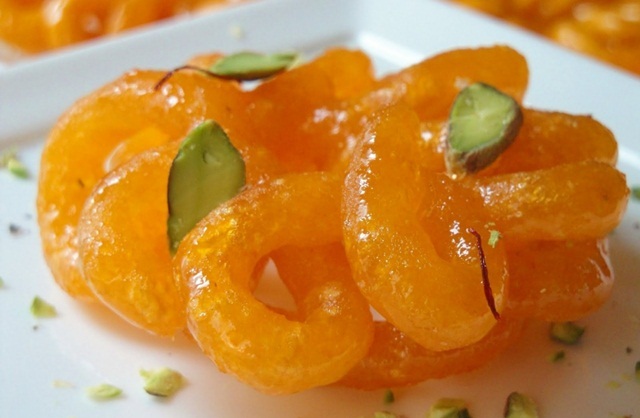 The Persian-speaking invaders introduced Jalebi to India in the medieval era. 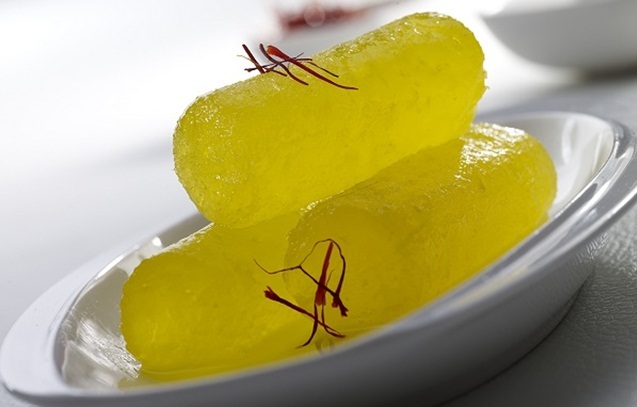 This sweetmeat was called ‘Kundalika’, and ‘Jalavallika’ in India in the 15th century. The poor were offered platefuls of Jalebi during Ramadan in Iran. It is called ‘Zalabia’ in the Arabian countries, ‘Zilebi’ in the Maldives, ‘Zlebia’ in Tunisia, Libya and Algeria, and ‘Jeri’ in Nepal. References to the Indian version of Jalebi are found in “Priyamkarnrpakatha” by Jinasura, a Jain author of the mid-15th century. The origin of Biryani is the princely state of Hyderabad in the era of Nizams, according to several historic sources. 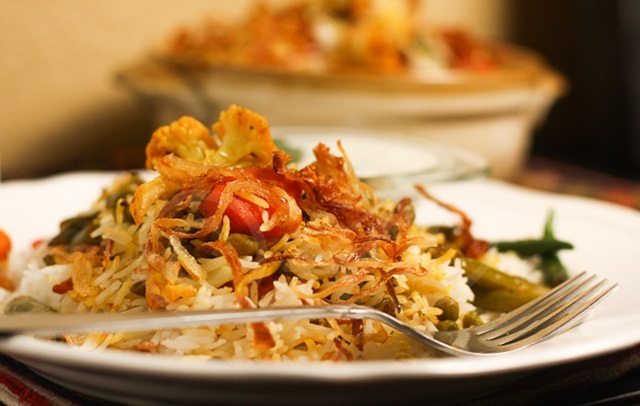 The recipe of Biryani is as old as the Mughal history of India, according to some historians. Some debate that Biryani was introduced during Timur’s invasion of India in the early medieval era. Though the origin of Biryani is debated, Dum Biryani or Biryani of Awadh was originated in Lucknow. The Nawab of Awadh ordered to cook a meal in huge handis (round-shaped brass pots) for all the poor people of his region when there was scarcity of food. A huge amount of food was cooked with minimum resources in covered and sealed pots. This art of cooking became known as ‘dum’. Like Indian Eagle on Facebook and follow on Twitter for travel tips and ideas. Subscribe to our NEWSLETTER and do never miss interesting travel stories.